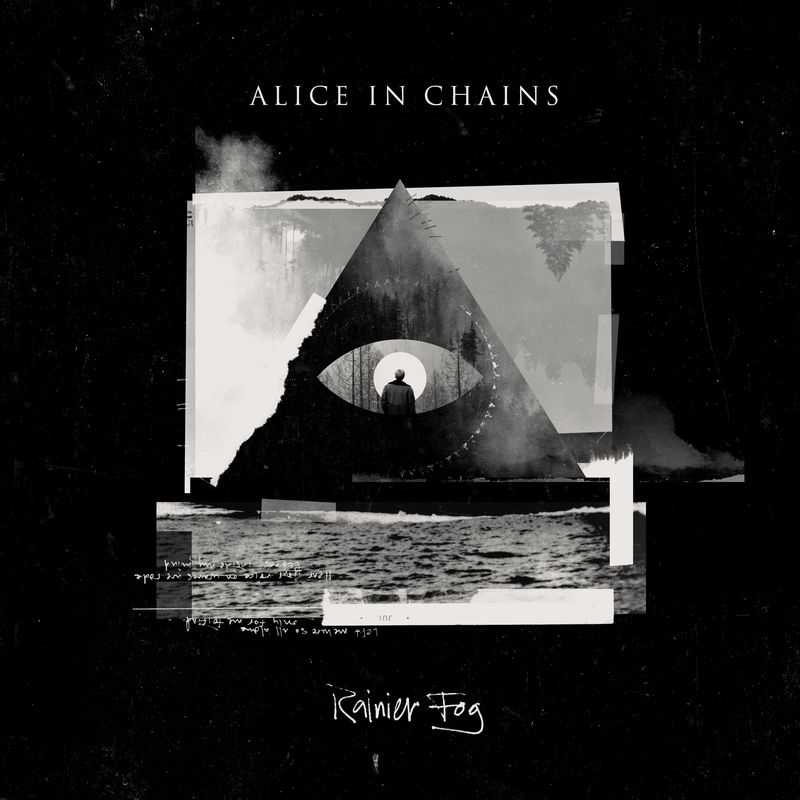 Alice in Chains write their most affecting material in ten years with Rainier Fog, refining their sound into something clean and new, but with the meaningful drudges through heavy melancholy fans love them for. I never thought I’d have such a profoundly personal reaction to an album. I admit, Alice in Chains are a big deal for me. I’ve been a fan for most of my life, still own my original Dirt CD, and so on. A lot of their older material was beyond me thematically and lyrically, but their raw sound helped me through a lot as a kid. I’ve followed them to hell and back in a way, sticking with them after Layne Staley’s untimely and supremely tragic death (RIP). Though I didn’t connect quite as much with either of their last two records with William DuVall leading, I don’t attribute this to the very capable vocalist and guitarist as a fault. A band should be allowed to move forward, doing what they love in their own way. That said, Rainier Fog goes to show that my personal theory is correct: Alice in Chains were, and are, the best thing to have survived the 90s grunge scene, though not unscathed, and that pained history is perhaps more apparent here than ever. The band’s last two albums have toyed with the established AIC sound, going deeper and denser, forming Seattle rock dirges worthy of any of their earlier, highly celebrated projects. So it’s kind of a wonder how they cleaned up their sound a bit, employing a less cluttered production style, and yet somehow came out on the other side of their Rainier Fog sessions with some of their most somber work to date. Of course there’s still a bit of grunge grime here, and it even skates into what I would call diet sludge metal territory; you needn’t much convincing aside from the opening riff of the album on “The One You Know”, which is a weighty deluge of a single with a dreary refrain. It’s here – the first damn track – where we see that maybe the sound’s cleansing was brought on by a flood of emotional purging washing away the dirt (no pun intended, I love Dirt so much). Nearly every track here is imbued with emotion and feeling; it’s apparent in how it affects a listener, and this is what the quartet does best here and elsewhere. This music makes me feel a small sense of nostalgia. This may have to do with loving the band for most of my life, but the music itself seems to evoke this. It’s a bittersweet feeling, marked with thoughts of your better days, and even a hopeful twinkle of all the ways your current days could be better. “Fly” probably elicits the strongest of these feelings for me, and not just because it’s a song that could have been found on the band’s Jar of Flies EP. It’s mainly an acoustic affair that’s simultaneously upbeat and subdued, like a conversation with an old friend that’s going well enough, but you know something is going wrong for them. “All I Am” is like longing for the touch of someone you once loved, knowing it might help stave off a forlorn moment of loneliness, but could never live up to the intensity it once had. Indeed, this is music to get mentally lost in, for better or worse. Focus on the music, but let it carry your mind to other places and evoke reflective thoughts. That’s how I most enjoyed this album, seeing DuVall and Jerry Cantrell’s voices as sorrowful hypnotists. Drums plod along like footsteps walking through your own memories, each guitar chord and bass note pluck like a distorted voice of your past calling out. It’s ethereal at times, aided by low-key trippy segments of songs that Cantrell consciously inserts into tunes. “So Far Under” has a second verse that sees a little of this in action with multilayered guitars, but it’s very subtle. The descending chorus also adds effect to it. Cantrell maintains that while he writes AIC music with certain themes of his own in mind, he would much rather a listener make their up own song meanings. Rainier Fog‘s strengths are punctuated by this approach. This is simply what I can glean from the band’s dark, alternative rock aesthetic that’s been an integral part of my life for so long. As a reviewer, it’s not without its small flaws. At 54 minutes exactly, it trends a little long. While I think each song has something nice to offer, I can’t help but wonder if some of the tracks’ best ideas couldn’t be folded into others, scrapping sections that didn’t hit marks or elongated a song without much purpose. For example, my least favorite number, “Deaf Ears Blind Eyes”, has solid vocal melodies and riffs that were well-executed, but it’s ultimately an unneeded, meandering detour within the otherwise stellar second half of the tracklist. I’ve pretty much always been at Alice in Chains‘ side, just as they’ve been at mine since I was a young kid. I guess that makes this a personal matter for me. While I do have my professional critiques on the album, ultimately it makes me feel things that music just doesn’t often do and that makes it something truly special. This is the first post-Staley album I’ve really felt a connection with. Although the band has always been mature – tackling morbid and dense topics of great concern to humanity with an infectious grunge attitude – I feel like the band has grown into their own thing again since the 90s, just as I have as a person. Having just turned 29, this was a perfect moment of reflection that I needed. Rainier Fog isn’t perfect, but it’s perfect for me.